Hey everyone, Welcome to my blog. 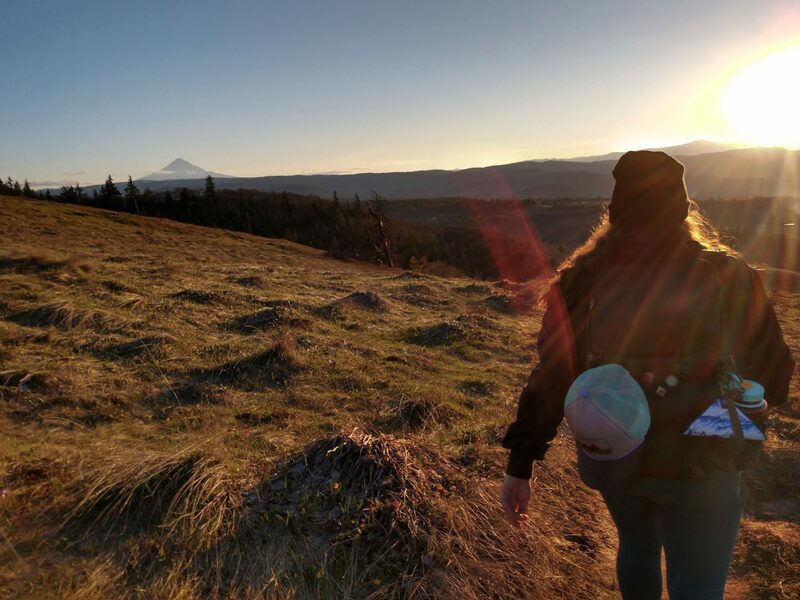 I’ve been wandering the PNW for the last several years and wanted a space to share my experiences outdoors, tips I’ve picked up along the way, trail details, great gear that I love and use myself, and of course I hope to inspire others to get outside and spend some time with nature. I’m Bre and currently I live in Downtown Portland Oregon only Monday through Friday though — because the weekend is when I’m really living, somewhere in the mountains usually. Although I grew up in California I am influenced by many regions, I moved to Oregon about 5 years ago to finish college and graduate with a degree in Art. I am currently a Graphic Designer for a company in downtown Portland, passionate about addressing climate change in an actionable way. Before I moved to Oregon I was in the United States Navy for four years where I was stationed all over the east coast and became fond of constantly changing my environment and thus my perspective. However I’ve grown to love the climate of the Pacific Northwest and think I may stay awhile — but even so I still plan on letting my perspective flow as I want to start expanding my travel to include global destinations so I have a chance to experience different national and state parks as often as possible. Being outside, being connected to this earth, has changed my life, the way I see the world and most definitely the human I am becoming. This earth is an amazing place and I can’t wait to share the captivating scenery, the hidden gems, the remote campsites, the random dirt roads and anything I stumble upon along the way with all of you.